Twenty-five year-old Kenley from Pompano Beach, Florida is the daughter of a tugboat captain and the youngest of three girls. 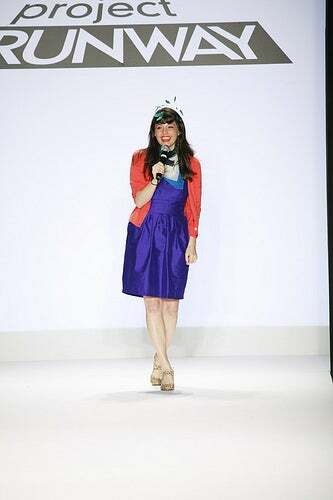 This morning when presenting her collection at Bryant Park, Kenley said she was inspired by Alice In Wonderland and had designed her "dream wardrobe." She played with ruffles, feathers, color and volume — showing skirts both full and sleek. Quirky party dresses for girls who like to play dress-up! Judge for yourself: The show starts after the jump.